A message from the Harbour Trust: For the first time in 150 years, North Sydney’s Sub Base Platypus – one of eight historically rich foreshore sites under our protection – is open to the public. Over the past decade, the Harbour Trust has consulted extensively with the local community to breathe new life into the former torpedo factory, submarine base and gasworks. Consultation occurred alongside a six-year, $46m decontamination and remediation project, funded by the Defence Department. This initial work was completed in 2016. To fulfil our vision for a vibrant public domain, the Harbour Trust was granted $20 million by the Federal Government (an amount supplemented by $3.8 million in Harbour Trust revenue) to revitalise Sub Base Platypus in two stages. 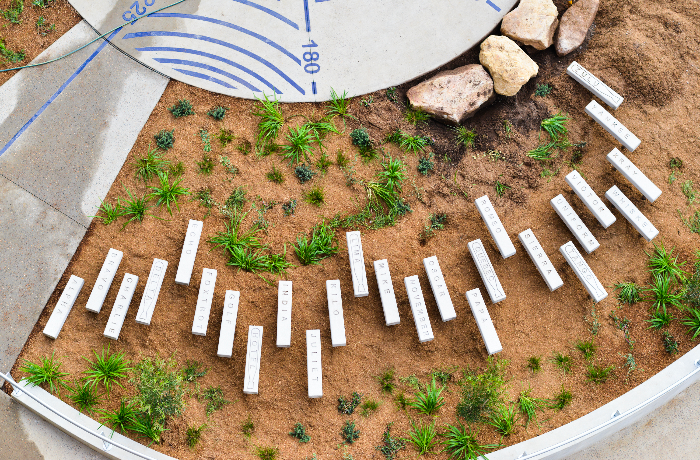 Stage One – an over-water walkway, BBQ area and pocket playground paying homage to the site’s maritime history – was completed, last month, with assistance from our 50-person Volunteer Restoration Team who created some of the play equipment. 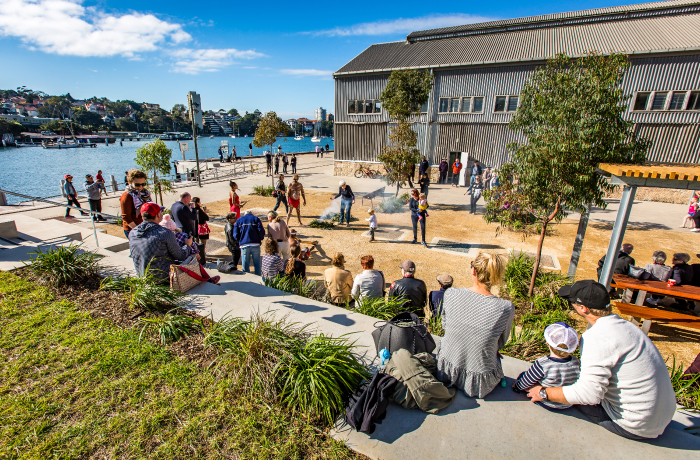 By creating these new features, the Harbour Trust has not only transformed a once-hidden gem into a waterfront recreation hub, accessible via North Sydney Ferry Wharf and Kesterton Park, we’ve begun engaging visitors with Sub Base Platypus’ diverse history. The playground offers a way for people to interact with the site’s maritime heritage, as will additional features scheduled for rollout – for example, a display of the site’s original periscope racks. As part of Stage Two, we will not only introduce a public courtyard and plaza but also refurbish many of the site’s buildings, protecting their heritage value while allowing for adaptive reuse. The leasing process is currently underway, following an Expression of Interest (EOI) campaign in 2017, and it is anticipated the first wave of tenants will undertake a fit-out of their spaces and open throughout 2019. Promisingly, Sydneysiders have already begun to frequent the site, taking advantage of its close proximity to public transport links, including the North Sydney Ferry Wharf, Milsons Point and North Sydney Train Stations (850m) and nearby bus stops (routes 269, 263). Despite the incredible progress of works at Sub Base Platypus, further funding is required to realise our long-term vision for the site. We remain committed to reinvesting revenue into our operations to promote the history of our sites and maximise visitor enjoyment. Due to electrical works, Kesterton Park will be closed between the 18th and 20th of June. Please access Sub Base Platypus via Kiara Close Entrance.